Watch Wednesday, September 3, 2014 at 9pm on WMHT TV. Perched atop a mountain crest, mysteriously abandoned more than four centuries ago, Machu Picchu is the most famous archeological ruin in the Western hemisphere and an iconic symbol of the power and engineering prowess of the Inca. 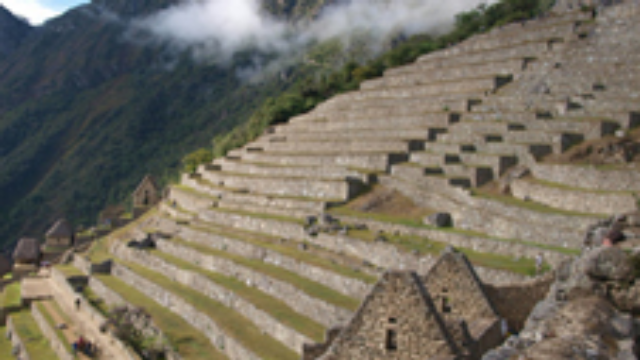 In the years since Machu Picchu was discovered by Hiram Bingham in 1911, there have been countless theories about this "Lost City of the Incas," yet it remains an enigma. Why did the Incas build it on such an inaccessible site, clinging to the steep face of a mountain? Who lived among its stone buildings, farmed its emerald green terraces and drank from its sophisticated aqueduct system? NOVA joins a new generation of archeologists as they probe areas of Machu Picchu that haven't been touched since the time of the Incas and unearth burials of the people who built the sacred site. The program explores the extraordinary trail of clues that began on that fateful day in 1911 and continues to the present.